Why Get an Eye Exam? Nearly 100 stores. Find one near you. 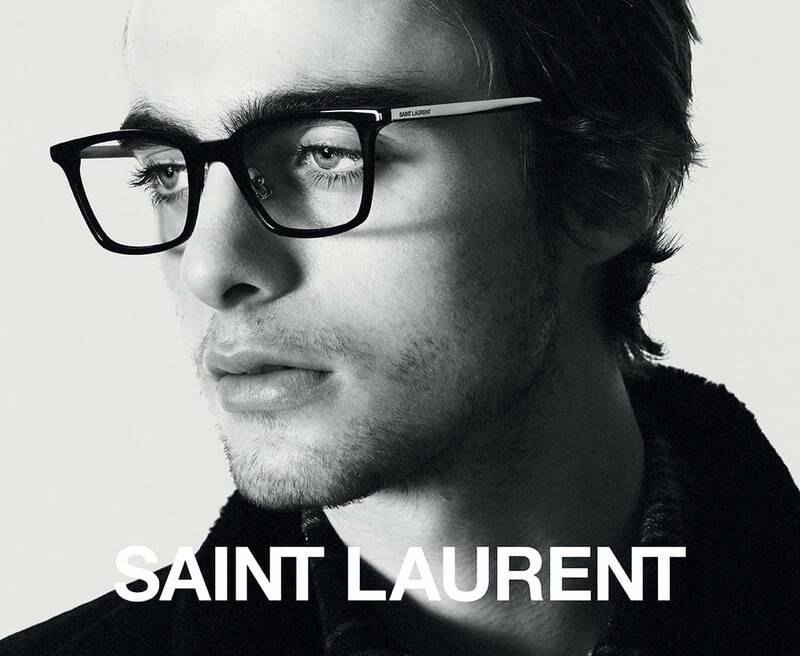 *$200 minimum purchase on 1 complete pair of eyeglasses or Rx sunglasses. $250 total savings on the purchase of 2 complete pairs of eyeglasses and/or Rx sunglasses. Not valid with any other offers, sales, vision plans or packages. Must present prior to purchase. Offer ends 4/30/19. *Select frame with clear plastic, single vision lenses +/- 4 sph., 2 cyl. Contact lens exam additional. Valid in NY and NJ only. For NJ only: eye exam by independent Doctor of Optometry and, if purchased separately, the cost is up to $89. 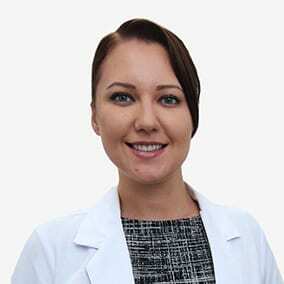 For a list of NJ Doctor info, go to https://www.cohensfashionoptical.com/privacy-policy/. Not valid with any other offers, sales, vision plans or packages. Must present prior to purchase. 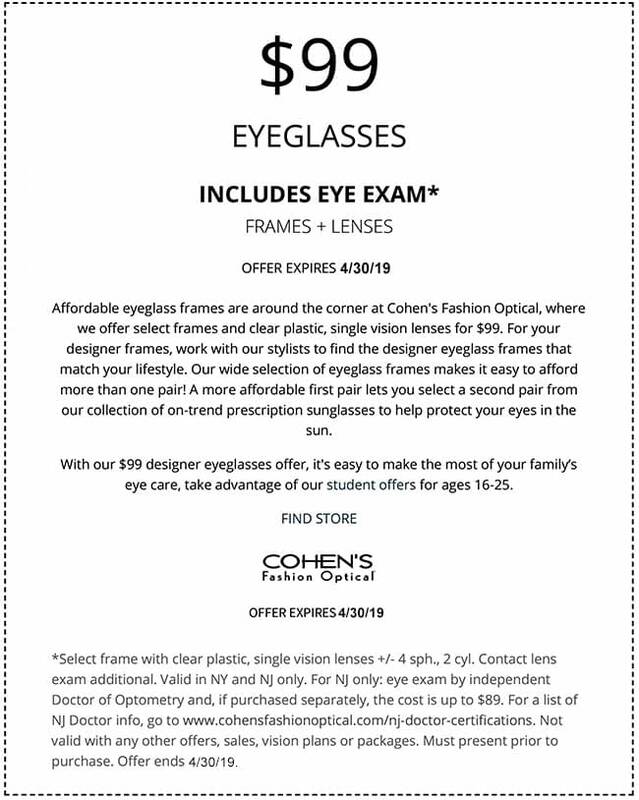 Offer ends 4/30/19. Cohens Fashion Optical offers SMS messages (e.g. Appointment, product pick up reminders). These SMS messages are triggered by appointments scheduled, services and product purchases after patient activated opt in has been received. Depending on the length of the practice/patient name, one to two SMS messages may be sent for each reminder. Message frequency depends on number of appointments, up to 4 messages per appointment or product pickup. The SMS text messaging service is available for these carriers. Message and Data Rates May Apply. How to Opt Out: To opt out of our SMS messages, you can opt out by replying via text "STOP" to any text you receive from the office on your mobile phone and we will unsubscribe you from our SMS text message reminders within 2 - 5 business days. You will not receive any additional messages until you request to re-register with the optometry practice. 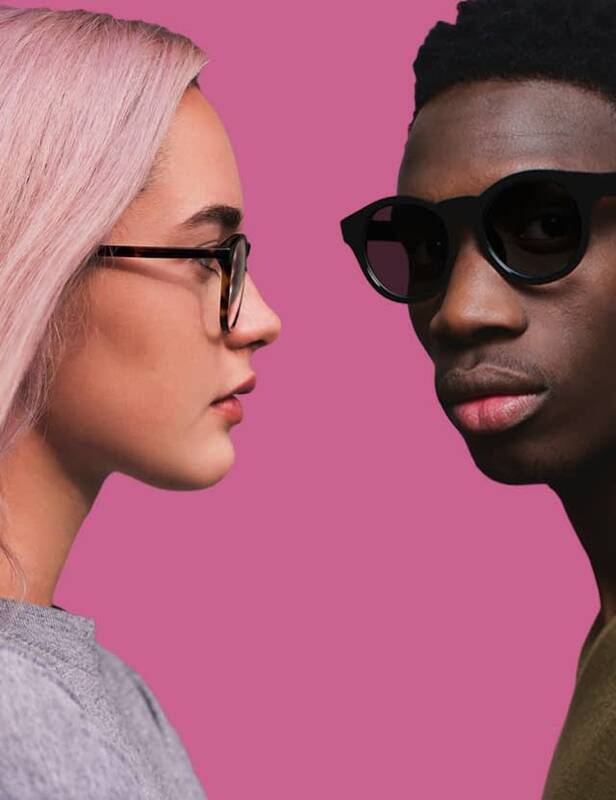 Serving Flatbush area neighborhoods including West Midwood and Ditmas Park, the Cohen’s Fashion Optical at 1536 Flatbush Ave. is Brooklyn’s one-stop shop for expert eyecare, fashion-forward value eyewear, and unparalleled customer service. Our location is in close proximity to the Flatbush Ave station, Flatbush Ave. bus stops, and the Brooklyn College campus. 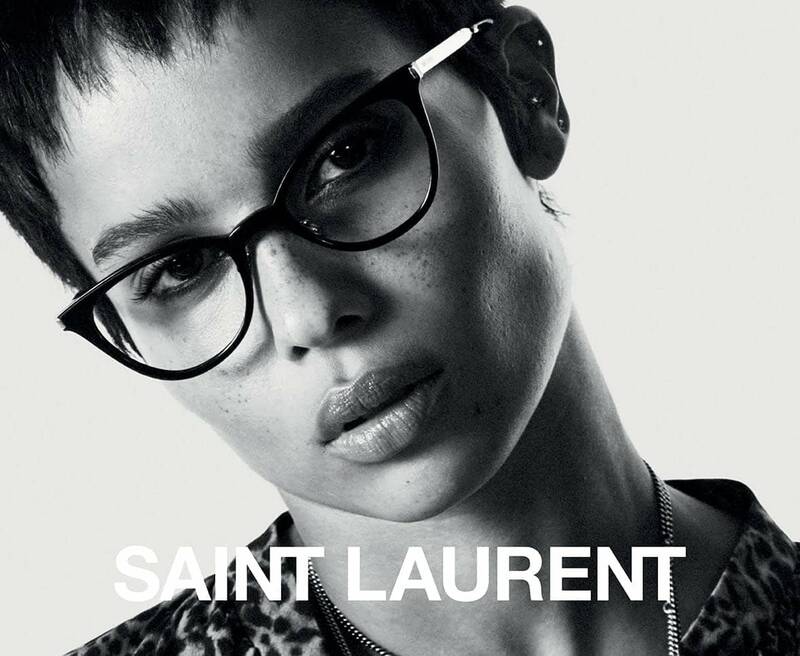 Our experienced stylists will help you select the perfect frames and sunglasses from iconic luxury brands including MCM, GUCCI, Dior, Tom Ford, Dolce & Gabbana and Ray-Ban. We will pair your stylish frames with the latest lens technologies such as innovative HD Digital lenses to suit an active lifestyle. Additionally, we carry all brands of clear and color contact lenses including daily, biweekly and monthly. Our on-site Doctors of Optometry are available to perform eye exams and take care of your eye health needs. We accept most major insurance plans, Care Credit healthcare financing, and same day service for most prescriptions. Book your eye exam appointment today using our convenient online scheduler. We offer extended hours to help better serve you. 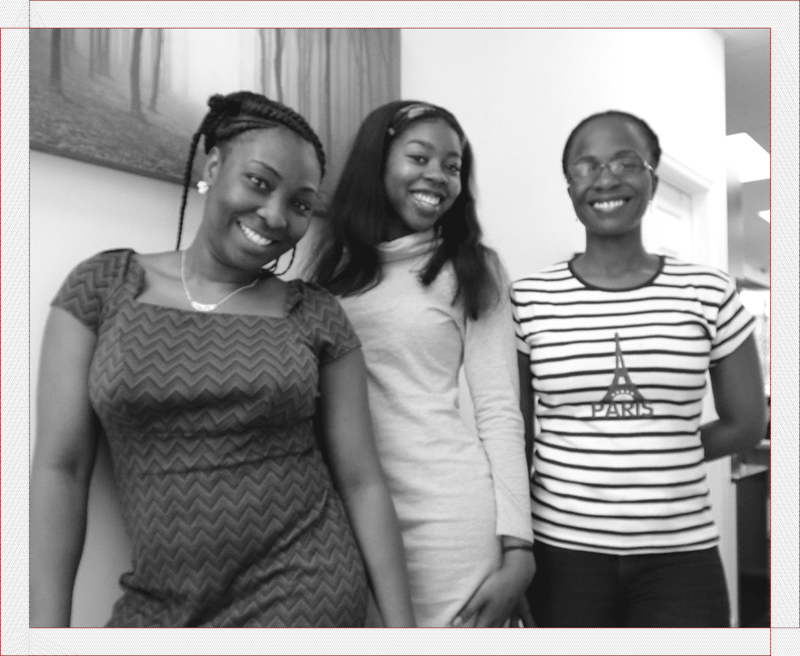 We’re your neighborhood optical store and we will treat you like family. Your Appointment Request is in Process - Please don't leave this page until your confirmation message appears. Discover your new look. 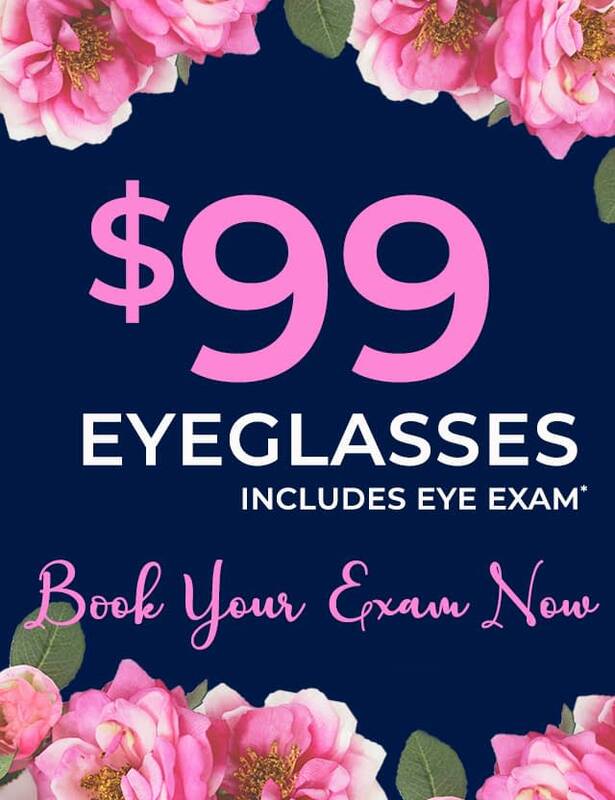 Schedule an eye exam or stop by to view our curated designer collections and we will personalize eyewear for your style. all facets of your life. From weekend casual to business chic to evening elegance, we will keep you on trend and in style. We offer the most advanced Lens Technology that can reduce digital eye strain and give you clearer, sharper vision for all your lifestyle needs. Prefer to go frame-free? We feature all major brands of contact lenses available including daily disposables, astigmatic, multi-focal, and colors. 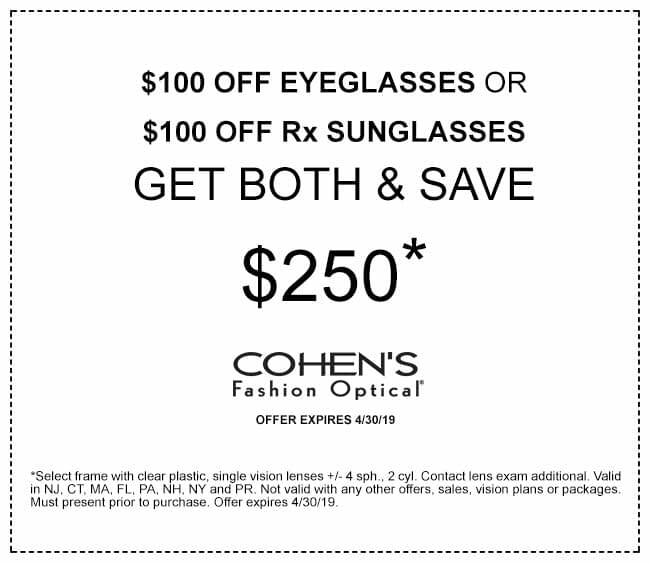 Become a Cohen's Fashion Optical Insider!